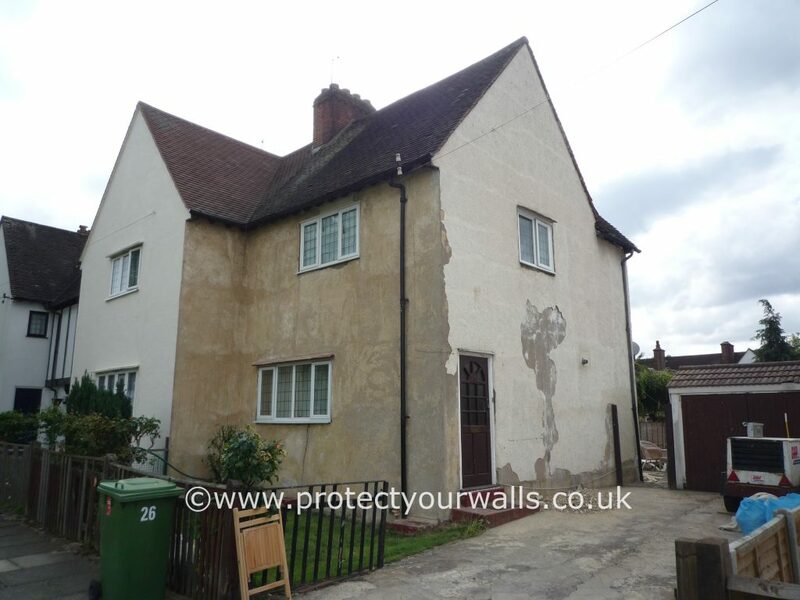 Apex Coating Services are specialists in the application of wall coating systems and render systems that protect your property whilst giving your home a stunning decorative finish. 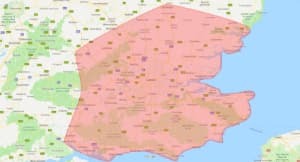 We are based in Kent and provide a first class service to Surrey and surrounding areas including Guildford, Cranleigh, Dorking, Epsom, Farnham, Godalming, Leatherhead, Reigate, and Woking. With 29 years of experience in the wall coatings industry, we are committed to working at the highest standards and only use the best materials available from market-leading suppliers. 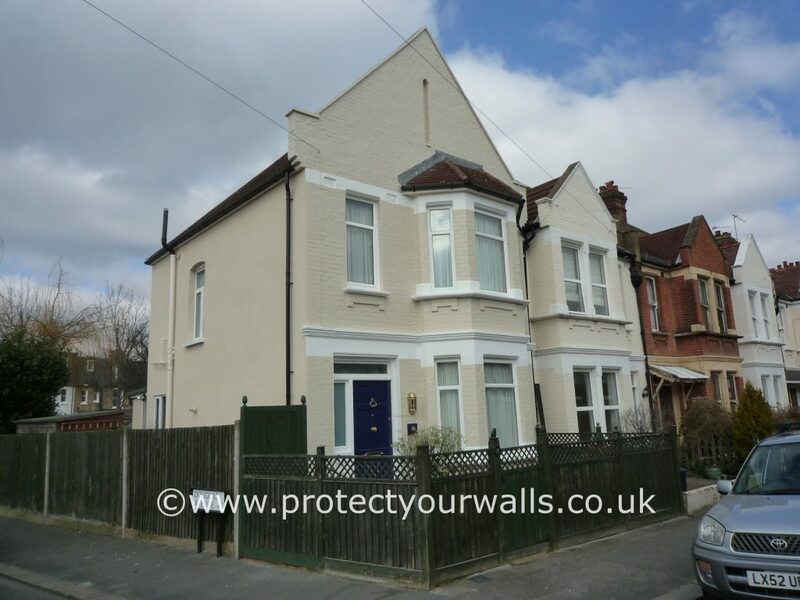 Our exterior coatings and renders are available in a variety of colours and textures which can transform any property and are guaranteed to last for up to 15 years. 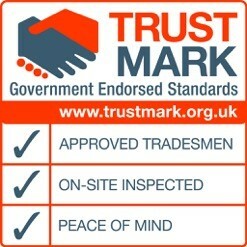 We are Trustmark accredited so you can rely on our reliable and trustworthy tradesmen. 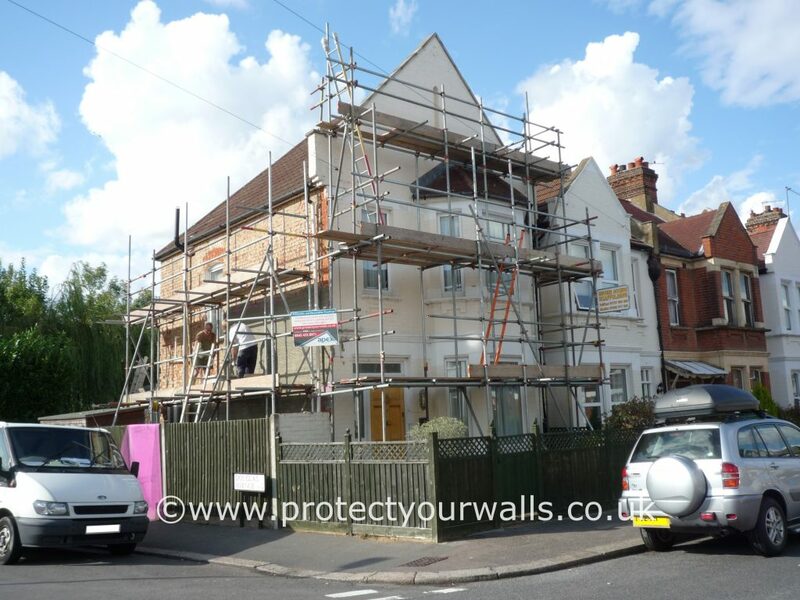 As part of this scheme, we offer insurance backed guarantees on all our work. Apex Coating Services undertake many aspects of exterior rendering, from repairing an existing render surface to full re-rendering of an entire property. 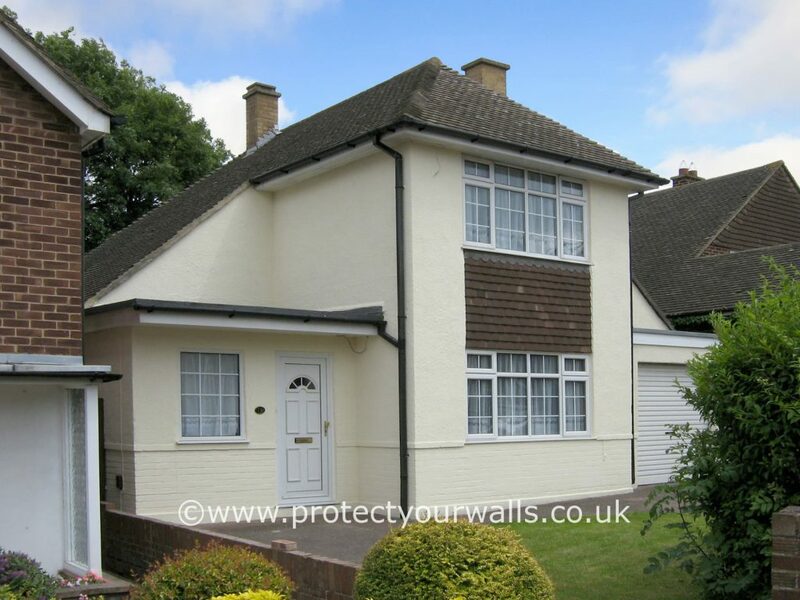 We have updated and refurbished a variety of properties in Surrey and surrounding areas with our exterior walls coatings and rendering services – learn more about our projects here. The painters remained upbeat despite appalling weather conditions. Looking forward to Steve coming back to completely finish any areas after the scaffolding and driveway has been done. Really pleased with work and would definitely recommend. Thank you! 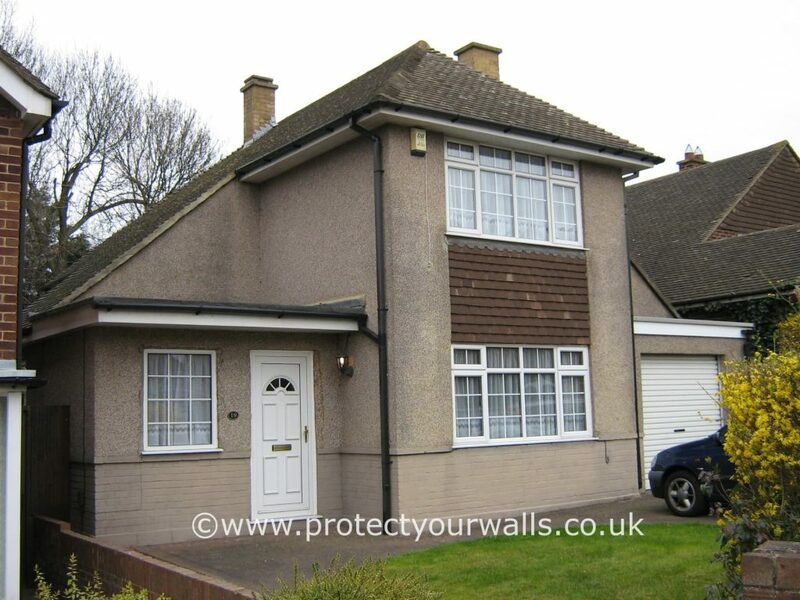 Job carried out as per specification to a satisfactory high standard. Ken polite at all times. House looks transformed completely. Neighbours green with envy! 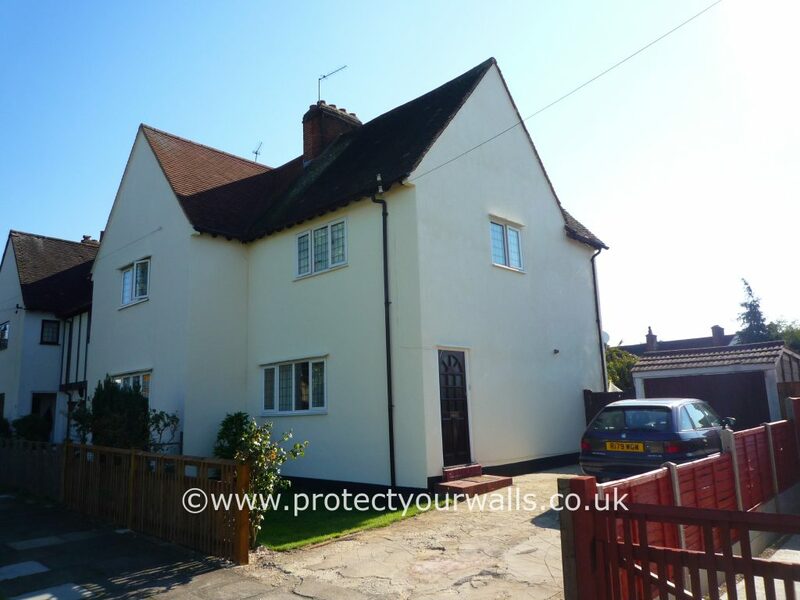 Get in touch if you have any questions about our exterior wall coatings and rendering services in Surrey or call 0800 145 5161 for your free quotation and transform your home today.